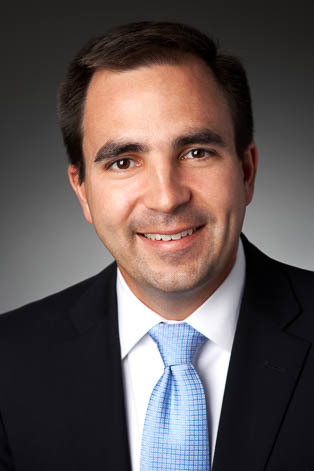 Bear Tullis practices in the firm's Real Estate Group. His practice is focused on providing practical advice to real estate developers in all facets of real estate development. Bear has represented landlords and tenants on a wide array of lease transactions including commercial, retail, industrial, and office properties. Bear has significant experience with land-use and zoning matters and has represented clients throughout Southwest Ohio. Additionally, he has experience with public finance law and has represented clients in obtaining TIF financing. Bear has successfully represented numerous clients in seeking real property tax valuation reductions as well as tax abatements and exemptions. Bear graduated as valedictorian from the University of Dayton School of Law while serving as the Editor-in-Chief of the University of Dayton Law Review. He received CALI awards for obtaining the highest grade in Commercial Real Estate Transactions, Basic Real Estate Transactions, Property, Legal Profession I, Commercial Paper, Secured Transactions, Torts II, and Criminal Procedure. Represent retail developer in single-tenant and multi-tenant shopping center developments. Represent national uniform supplier company in ongoing real estate needs, including leasing, purchasing and acquisition, and other all real estate matters. Represented numerous clients in public zoning meetings throughout Southwest Ohio. Represented numerous clients at Board of Revision and Board of Tax Appeal hearing throughout Ohio. Represented client in acquiring over 8,000 acres of rural property for commercial hunting and farming purposes. Successfully defended client's historic property from demolition by Ohio municipality by convincing the court that the municipal ordinance was unconstitutional as it did not allow due process to the property owner.